COLUMBUS, Ohio – One effective way to combat Ohio’s growing opioid crisis is to prioritize treatment in underserved areas across the state because those are among the areas struggling most with opioid abuse, says an analyst with the C. William Swank Program in Rural-Urban Policy at The Ohio State University. “As it now stands, Ohio likely only has the capacity to treat 20 to 40 percent of the estimated 92,000 to 170,000 Ohioans who are abusing or dependent on opioids,” said Mark Partridge, chair and professor in Ohio State’s Department of Agricultural, Environmental, and Development Economics. The Swank program, housed in the department, conducts research, teaching and outreach within the College of Food, Agricultural, and Environmental Sciences. According to a report released today by researchers with the Swank program, medication-assisted treatment is the most clinically effective and cost-efficient method for reducing opioid addiction, abuse and overdose death. 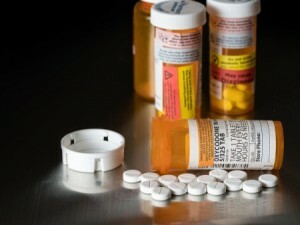 But in Ohio, which now leads the nation in opioid-related overdose deaths with a record 4,050 drug overdose deaths reported in 2016, a 33 percent increase from 2015, according to the Ohio Department of Health, some 60 percent of those abusing or dependent on opioids lack access to such treatment, Partridge said. “Enacting new laws to take down pill mills and lessen access to prescription opioid drugs alone isn’t going to fix the problem,” he said. “We need a broader-based approach that includes working with physicians and hospitals in underserved areas to encourage providers to obtain the waiver required to prescribe opioid treatments to their patients. The 2017 analysis, “Taking Measure of Ohio’s Opioid Crisis,” is 22 pages and available to download free online at go.osu.edu/takingmeasure. The report says medication-assisted treatment has shown to be a clinically effective and cost-efficient approach to treating opioid addiction, with three common medications used in the treatment of opioid addition: methadone, buprenorphine and naltrexone. Yet, Ohio has only 26 certified methadone treatment centers and 377 doctors who are certified to prescribe buprenorphine. “It has been estimated that for every dollar spent on methadone and buprenorphine treatment, $1.80 in social savings would be realized,” said report co-author Mike Betz, assistant professor in Ohio State’s Department of Human Sciences. Betz said there needs to be a shift in emphasis from stopping pill mills and over-prescribing to treating those already addicted to bring them into the mainstream and assist them in becoming more productive. Opioid drugs, including prescription painkillers and heroin, killed more than 33,000 people nationwide in 2015, more than any year on record, according to the U.S. Centers for Disease Control and Prevention. There were 3,050 overdose deaths in Ohio in 2015, with 58.2 percent of the deaths blamed on the use of fentanyl and its derivatives, an opioid 50 times stronger than heroin, officials said. The annual cost of opiate abuse, addiction and overdoses to Ohio is estimated to be between $6.6 billion to $8.8 billion, the report said. Report co-author Mark Rembert puts the looming figure in perspective. Partridge said both attention and funding from the federal government are crucial in making a dent in the opioid abuse problem because states like Ohio are already too stretched. Another key finding from the report is that there is a robust and direct correlation between unemployment rates and opiate overdoses and deaths. Individuals living in high-employment regions of the state tend to also have high levels of opioid abuse. Partridge said improving the labor market in hard-hit communities would help.